The routing for Route 9 is proposed to be modified to serve the intersection of Wonderland and Fanshawe Park and to remove service from Aldersbrook Rd. Route 31 would replace Route 9 service on Aldersbrook and Sarnia west of Wonderland. Route 9 would replace Route 31 service, while servicing the Fanshawe & Wonderland intersection. 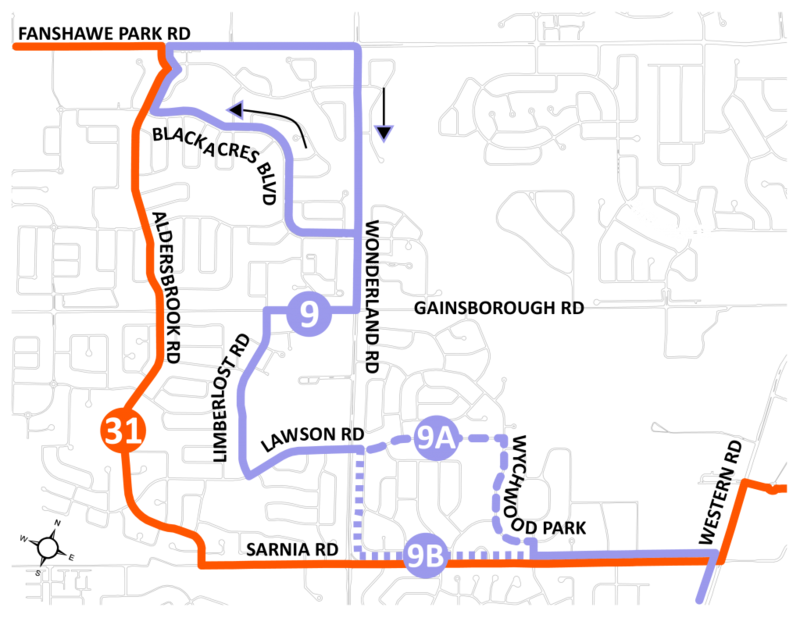 Both Route 9 and 31 would have an overall frequency increase as a result of either change. 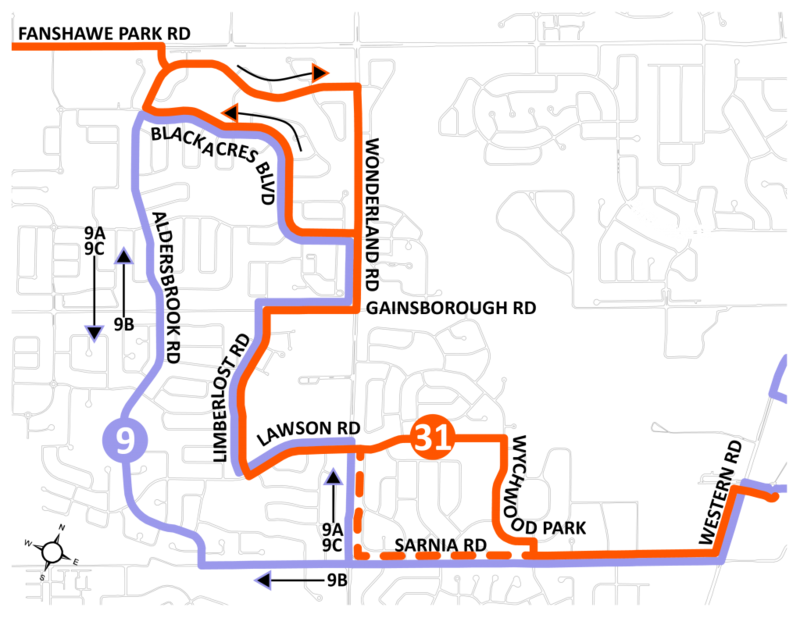 Frequency of service would increase in most areas, with an exception being Blackacres Blvd, which would have a reduction. Route 31’s operating hours would be extended later. Development near the Whitehills area has changed dramatically in recent years with increased residential to the west and residential and commercial to the north. The current routing of Route 9 and 31 over-service some areas, such as Blackacres, while not providing service to key nodes such as the intersection of Wonderland & Fanshawe Park Road. Additionally, the current 9A/ 9B loop adds confusion and reduces the usefulness of the frequency depending on where passengers are travelling. The routing modifications in the area to Route 9 and 31 provide more direct service for Route 31, direct service from the Wonderland and Fanshawe Park intersection to the Wonderland and Sarnia intersection, and better align service to ridership demand.